Classically Liberal: The Nanny State: It's not just for Democrats anymore. The Nanny State: It's not just for Democrats anymore. If you thought that when the Republicans got their claws into regulating marriage, to stop those nasty gay people from committing themselves legally to each other, that the GOP would stop there, then think again. The theocratic agenda of the Religious Right doesn't stop with some old fashioned queer bashing. Nope, they want to regulate every marriage. Now that they have people scared, mainly by falsehoods, about gay marriage and "saving the family" they are turning their guns on heterosexuals who marry, or more specifically, on heterosexuals who want to divorce. Rep. Nancy Barto, a Republican from Phoenix, has introduced legislation in the Arizona state legislature to have government step in to try and stop people from divorcing. Under Barto's bill couples wanting to divorce will have to wait an extra four months for their divorce to take effect legally. And, if the couple have children, Barto wants to force them to attend government-run indoctrination classes on why they should not divorce. Barto's legislation was spoon-fed to her by a Religious Right outfit known as the Center for Arizona Policy. While the name sounds policy oriented the group is actually a front for fundamentalist Christians wanting to use state law to impose fundamentalist morality on everyone. They are part of the American Taliban. They promote Focus on the Family, the outfit that recently called for the forcible incarceration of gay people into sexual reeducation camps, where Christian "therapists" will covert them to being heterosexual. CAP has nothing but a moralistic agenda and that means that the Theopublicans are lining up to sponsor their Big Government agenda. A local family court judge has lashed out at the bill saying that in her experience this sort of legislation will lead to more abuse of women. Apparently the Christians weren't happy with laws stepping in to stop people from marrying they do love and now want to force people to stay married to people they don't love—or worse, to people they fear. Deborah Sheasby, who is paid by CAP to lobby for laws giving government more control over people's private lives, chimes in with the claim that the new restrictions are only: "Allowing couple more time to work out there differences..." The current law doesn't place any restrictions on how much time people take to "work out there differences," so Sheasby is being dishonest—a common trait among fundamentalists. People have all the time they want to work out differences but this legislation forces people to wait for a divorce. A couple, for instance, might be in counseling for two years voluntarily and then decide to divorce. 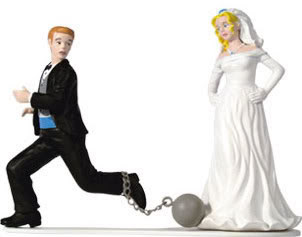 The law would delay that divorce by an extra four months, on top of the current two month waiting period. And, if the couple have children, they would effectively be sentenced to mandatory sessions with a bureaucrat for the state who is supposed to change their mind. This is what freedom looks like when the theocrats sink their fangs into the neck of liberty. The Republicans won't be happy until their regulate every aspect of your private life in the name of Jesus. posted by blog owner at 2/13/2010 01:54:00 AM DiggIt! Reddit Del.icio.us Slashdot It! The story I didn't cover, but now will.